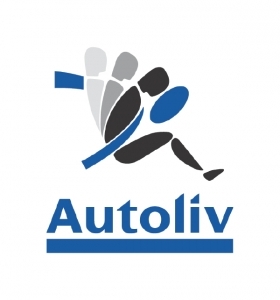 STOCKHOLM (Reuters) -- Swedish car safety products supplier Autoliv predicted sales growth of 5 percent this year, but analysts expected more because of potential new business Autoliv could win amid the Takata airbag crisis. Several major automakers have recalled millions of cars with airbag inflators from Takata in one of the largest and most complex safety recalls ever. That has given Autoliv an opportunity to take market share, and analysts had been expecting a more upbeat outlook on the back of that. The mean 2016 forecast in a Reuters poll of analysts was for 8 percent growth for the firm. Autoliv is the world's biggest maker of auto safety equipment such as seatbelts and airbags. "There were very high expectations on Autoliv, and people had counted on them being more aggressive in the guidance for 2016," Handelsbanken Capital Markets analyst Hampus Engellau said. While posting forecast-beating results for the fourth quarter on Friday, Autoliv said it now expected delivery volumes of up to 20 million replacement airbag inflators following Takata's crisis to come in 2015-2017, instead of in 2015 and 2016. U.S. regulators as late as last week announced a new recall of about 5 million vehicles with potentially defective airbags from Takata. Autoliv CEO Jan Carlson told Reuters further recalls could not be excluded. "I'm not sure we've seen the end of this. There could possibly be more to come," he said, adding Autoliv must make sure it has the capacity to produce as much as possible. "This is not good for the industry. This is something that make people dubious about a product which saves tens of thousands of lives every year," Carlson said. Autoliv's fourth-quarter operating income was $281 million, higher than market expectations of $255 million and up from $217 million in the year-ago quarter. For the first quarter, it expects organic sales growth of more than 10 percent and an adjusted operating margin at around 8.5 percent, while in 2016 the margin is seen higher than 9 percent. The firm expects costs for raw materials to fall by roughly $40 million in 2016 compared to 2015, Carlson said. Around $15 million is seen coming through in the first quarter.